The feature films nominated for the 91st Academy Awards have been, to put it charitably, hard choices to justify for one of the world’s most prestigious film awards. But it’s a different matter altogether over in Best Short Film (Animated), which I’d say vies only with Best Documentary Feature as the best category of the night. It’s also my favorite year in this category since the amazing set of nominees from 2008 (which is maybe my favorite slate this category has ever had in a year of five nominees). So with the surprise spoiled, on to the films themselves! Easily the weakest of the lot, which itself speaks to how good all of these are. Because even if this is a bit painfully obvious and overdone, it’s still a clever take on the basic scenario, enlivened by bright, clean character animation. 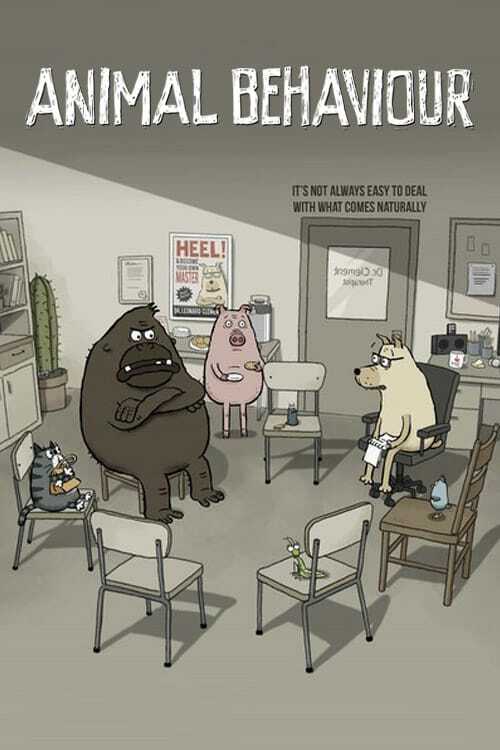 As for what that basic scenario is: a group of animals are gathered together for a group therapy session, led by Dr. Clement (Ryan Bell), a pit bull psychologist. His life’s work has been to help animals overcome their basic personality flaws, insisted upon by their species: a leech who overrelies on relationships with others, a pig who can’t stop stress-eating, a praying mantis who has intimacy issues stemming from her habit of eating all her lovers, a neurotic cat, a bird with traumatic memories of sharing worms in the nest. And a new patient, an ape with anger issues. It’s one gag, repeated a few times, and it certainly gets less funny with each new animal; by the time the ape starts freaking out, it starts to grow actively lazy. What salvages is it is a pleasantly cartoony style: it feels like a throwback to Canadian animation in the ’80s (when directors Alison Snowden and David Fine were working, and receiving Oscar nominations), with its caricatured figures with big, squishy faces. And it also, to be sure, benefits from the company it keeps: this is the only nominated film that’s actually fun without at some point making a strong claim on the viewer’s tear ducts. It’s simple, silly, and shallow, but it understands the appeal of talking animals with people problems, and while it certainly breaks no new ground, it goes over familiar territory well enough. Far and away the most prominent title on this list: it’s the new Pixar Animation Studios short for 2018, and it played in theaters with Incredibles 2. And while there are a good many things that set it apart from the Pixar norm – in order of importance, it’s their first short directed by a woman, Domee Shi; it’s their first project with an Asian lead; it’s set in Canada – for the most part, this is exactly what the studio specialises in: creative comic anthropomorphism that transforms into heartbreak and then uplifting sentiment. It’s a metaphor for overprotective motherhood, in the form of a woman who makes a bao dumpling that comes to life with the most god-damnedest adorable face and body language. Where the plot goes, I won’t say – I’ve seen the film three times now, and there’s a mid-film twist that invariably causes half the room to gasp in astonishment, so let me never give away the secrets – other than that it his not yet failed to hit me hard. It feels astonishingly precise: I know nothing about Shi’s life, but I’d bet money that this was based on her own mother or grandmother. The exact way that love turns into an anxious desire to control and if necessary destroy is too familiar and right and heartbreaking for it to not be based on firsthand observation. This is impeccably polished CG animation, imbuing the woman and the bao with extraordinarily rich expressions, such that even their pantomime is heavy with feeling. There’s a moment near the end, when an important piece of information is provided in large part by delicately manipulating the focal depth of a shot, and letting us see something that we don’t quite see; that’s a simple thing, but it takes work and calculation that most American studios simply don’t engage in. Anyway, it’s made me ugly cry three times in a row, and if that’s not what Pixar is all about, then what is? 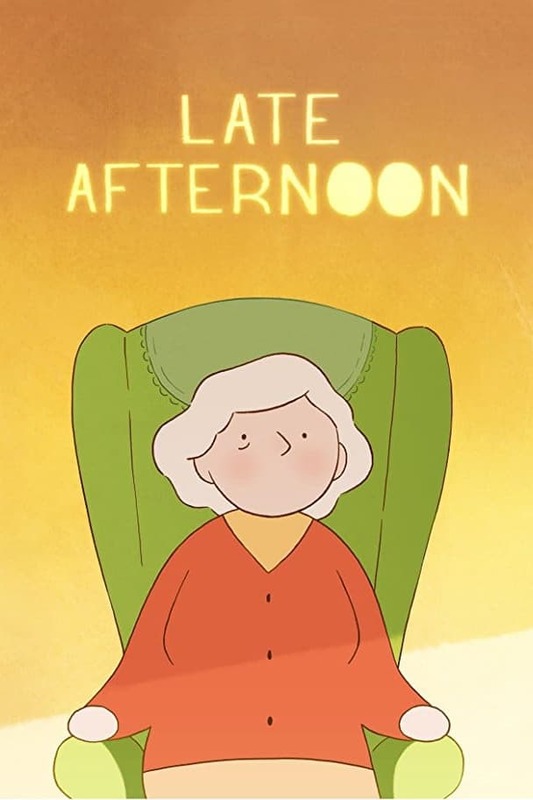 If I were compelled to pick a favorite, it would probably have to be this delicate character sketch about Emily, an elderly woman voiced at different ages by Fionnula Flanagan, writer-director Louise Bagnall, and Lucy O’Connell. She’s being visited by a woman named Kate (Niamh Moyles), who is there to pack up Emily’s belongings; these trigger fragments of memories, largely told in chronological order, letting us see the span of a human life in just a few minutes. It’s pretty obvious pretty early on where this is going, but I think it’s fair to say, without spoiling too much (the film is anyway very willing to work with implication rather than explicitly laying out plot points) that Emily has some manner of dementia, and these sudden flashes aren’t just memories, they’re a blurry mixture of past and present that reflects her own difficulty in keeping track of where she is in time. This is carried off through a spare aesthetic, little more than line drawings, which allows for a great deal of fluidity as images blend into each other (there’s also a fine small detail that neither Emily nor Kate has their head firmly connected to their bodies, making the floating quality even stronger. It’s soft and gentle, and the build up to the final moment – when for at least a brief time, Emily snaps fully into the present – earns every bit of the weepy sentiment it’s going for. 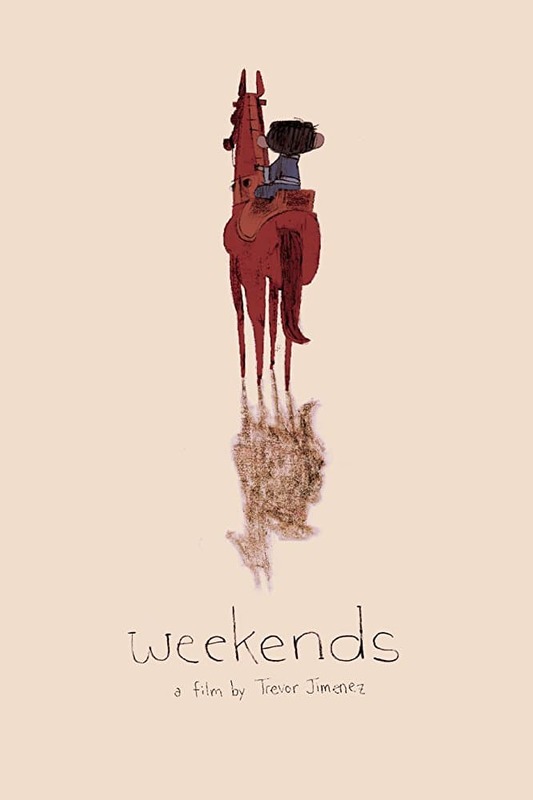 This short comes from Cartoon Saloon, the magnificent Irish studio responsible for The Secret of Kells among other films; the simplistic look of this film in no way resembles anything else of theirs I’ve seen, and confirms for me, if it needed confirming, that this studio is absolutely the real deal. It’s not anything groundbreaking, but it’s elegant and humane, and makes a huge impact for just 10 minutes of storytelling. 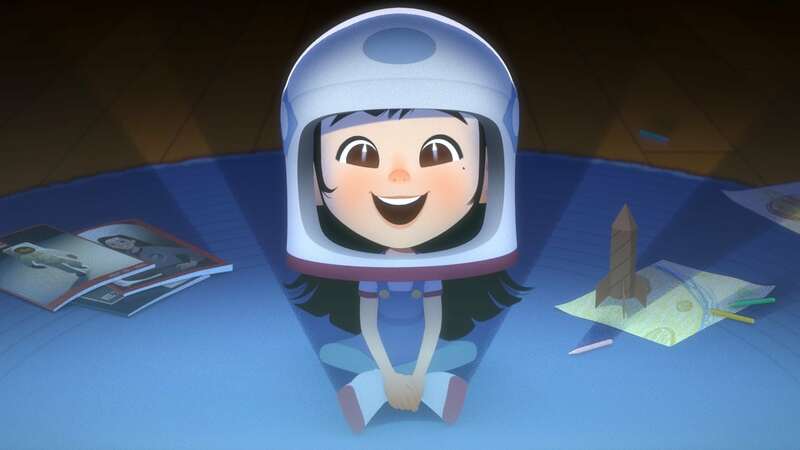 At the risk of being snide, it’s sort of a gender-swap of Bao: a Chinese-American cobbler in San Franisco raises his daughter with a love of wonder at science and space that turns into a self-destructive perfectionist streak, and this leads to a rupture between parent and child that the father doesn’t quite know how to fix. The biggest problem with this film is that even at a mere 8 minutes, it has a hard time focusing on that family drama. 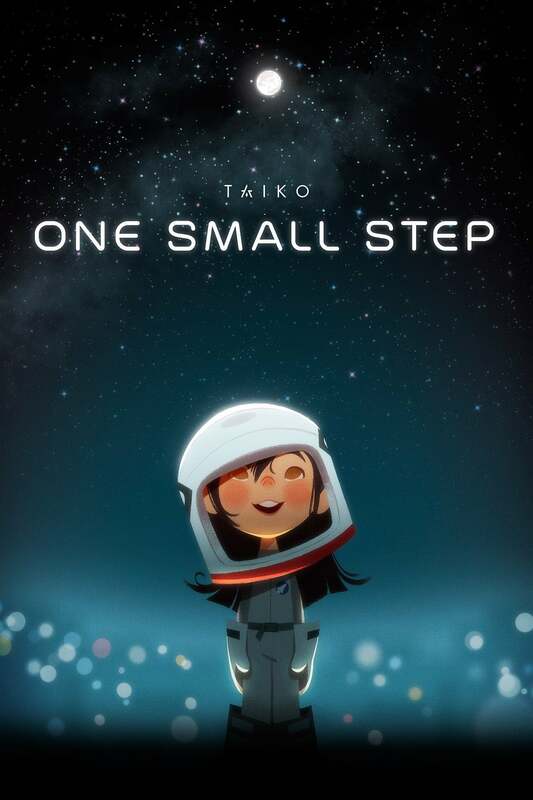 At a certain point, the perspective changes from that of the concerned & helpless dad, to that of the daughter, and the stakes change from patching up their relationship to her attempt to become an astronaut. It’s a lot of plot, and the filmmakers only barely manage to keep it all together; honestly, they don’t even completely manage that, with a good minute in the middle there where the film simply doesn’t know what it’s about. 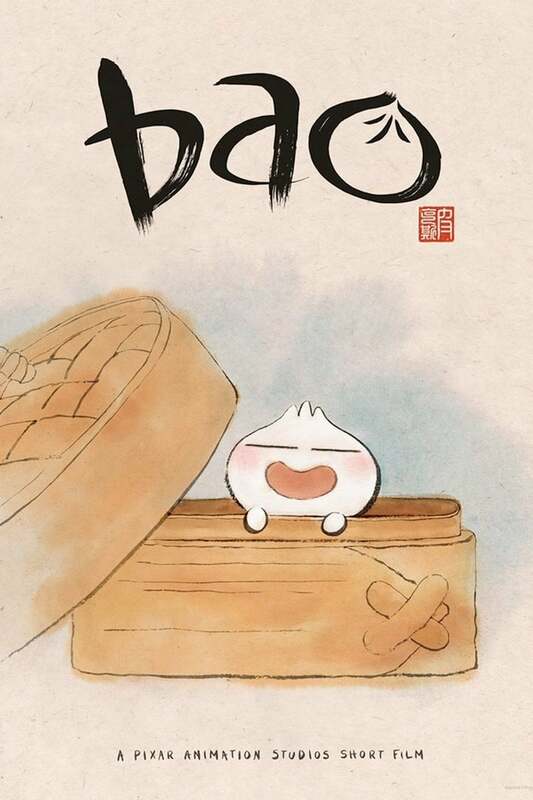 That being said, the other way it’s like Bao is that it’s a pretty successful tearjerker, when all is said and done, and certainly it is more ambitious in its narrative and thematic sweep. It also has quite a singular visual style: the foundation of it is standard CG character animation in a three-dimensional space, but all of the texturing and coloring has a soft, pastel look. It feels digital, but also softer and more hand-crafted than anything digital, and I would be inclined to say that it’s probably the loveliest of the nominees. The other candidate for that title is this grand Toronto-set tale of a young boy whose parents have recently divorced. He mostly lives with his harried mother, but on the weekends, he gets to visit his manchild of a father, where they watch violent movies and listen to ’80s rock and play with samurai swords. Jimenez, who did a lot of the work of creating this sketchy-looking marvel himself, is a Pixar veteran (he was a story artist there), and you can feel that studio’s influence in the rich pantomime, as well as the blatant desire to make us laugh before making us weep. Much as is true of Bao, it feels like this absolutely has to be based on first-hand knowledge: the little details, from the exact way that clutter is laid out on the table in Mom’s crowded kitchen to the view of Toronto out Dad’s window, suggest a rich and specific world that we’re seeing in hungry little slices of life. The power of the film lies in capturing an exact moment in childhood: the boy old enough to feel pain and fear, and particularly to be gripped with terror that his parents aren’t telling him everything, but he’s young enough that he can’t articulate those things, and doesn’t understand exactly what’s going on, and who the man and woman that his parents start dating are. The beautifully rough look of the film, feeling detailed but simple and cartoonish, is a perfect visual match for this feeling of childish existentialism. It’s a bit long at 16 minutes, but so full of feeling that I don’t feel like I should count that against too much, or at all.